Blog camp: For you, ladies! 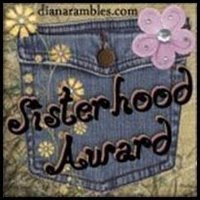 I'm giving this award to all the ladies who are coming to blog camp (or are organizing a South Africa one). I've said it on my blog but wanted to say it here too: I think that blog camp is the perfect example of the great things that can happen in the blogosphere, and a sign of true sisterhood. Update: Mrs Rotty had the same idea and nominated us all here! How crazy is that? Well, bummer. I can't go, but I will watch from afar and hope you all have a great time! Actually, I won't watch...I'll read. are we so cool or what? thanks B, thanks Mrs. Rotty! 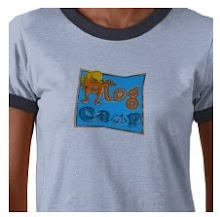 and don't forget that this is for people who are only going to be at blog camp in spirit as well!